Four heroic teenage Junior Reserve Officer Training Corps (JROTC) members ran inside a burning building Wednesday to save residents trapped inside. 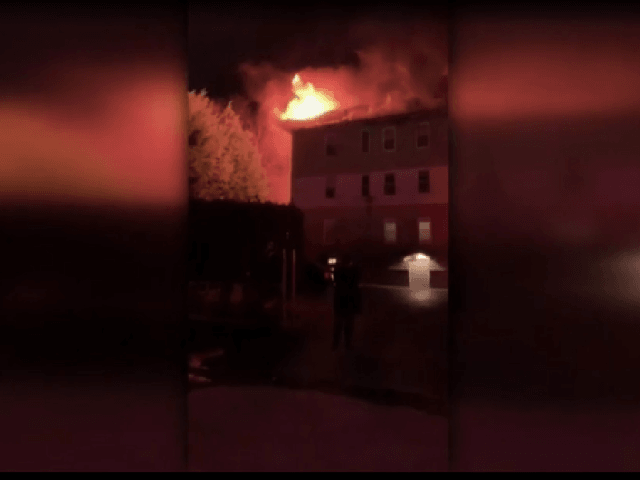 The four teenagers, who are all friends involved in the JROTC program at a local Massachusetts high school, had been driving back from a “Friendsgiving” celebration on Wednesday night when they noticed flames coming from a building. “You could see the flames heavy coming out the back,” said Marquis Bell, one of the teens who responded to the fire. “It was just crazy because I wasn’t really thinking, like about how much danger I was in. I was worried about how bad the people in the building are, like if they are in a bad situation right now and if we can help them to get out. It was mostly just an adrenaline rush,” he added. The teens beat first responders to the scene, knocking down doors and waking people up to get them to safety. The four men rescued a woman and her three children, and a family above them on the third floor of the residence. Fire crews took over after the rescue, relieving the brave young men of their duties. “I owe them more than I could ever repay them,” said Danielle Cormier, a resident of the building whom the teens rescued. High school students involved in JROTC programs have performed heroic acts throughout the country, with some giving their lives to help others. During the Parkland, Florida, shooting in February, three JROTC cadets sacrificed their lives trying to help their classmates escape the gunfire. The U.S. Army later recognized the bravery of these cadets by posthumously awarding them medals for heroism.